I really enjoyed it today but it takes me quite some time which I think is the reason why I keep postponing every day!! 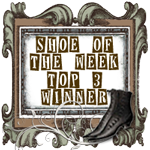 We've been featuring artists every Friday and now its time to say good-bye!! Hello, I’m Kymona Tracey. Who am I, you ask? I am a women who never slows down and loves it. Yes… I am the energizer bunny’s sister! I just keep going and going (which is something that I am working on, if you follow my weekly wishes on my blog). I am a single mother of two wonderful children who are 8 years apart. My 16 year old son is a true self-made jock who plays every sport you can think of ! My 7 year old daughter is a real life princess who loves anything crafty and girly and absolutely hates anything related to sports. Talk about yin and yang! …but I love it!! Besides running from one activity to another with them, I work full time at a hospital (public health background), facilitate a reading group at work, teach high school students on the weekends and have a huge love of learning new things. I’ve taken classes in photography, web design, knitting, scrapbooking and card-making. I love them all, however, my true passion is card-making. I was introduced to card making back in 2004 and haven’t turned back since. 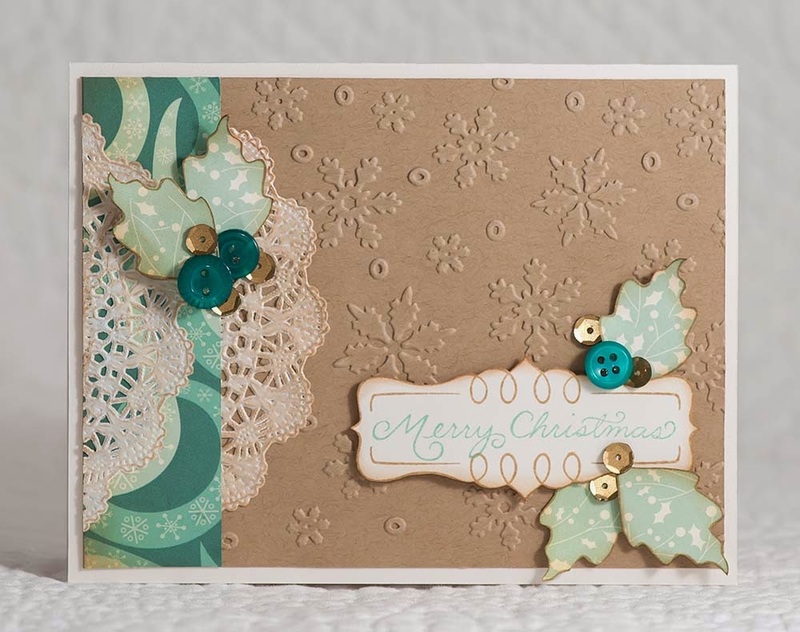 I started out as a hobbyist just making cards for family and friends. People were always ecstatic when they received a card from me. What they did not know was that it made me feel just as special to make a card for them. This passion pushed me into teaching card-making classes at work with a couple of coworkers who wanted to learn how to make projects for their families. 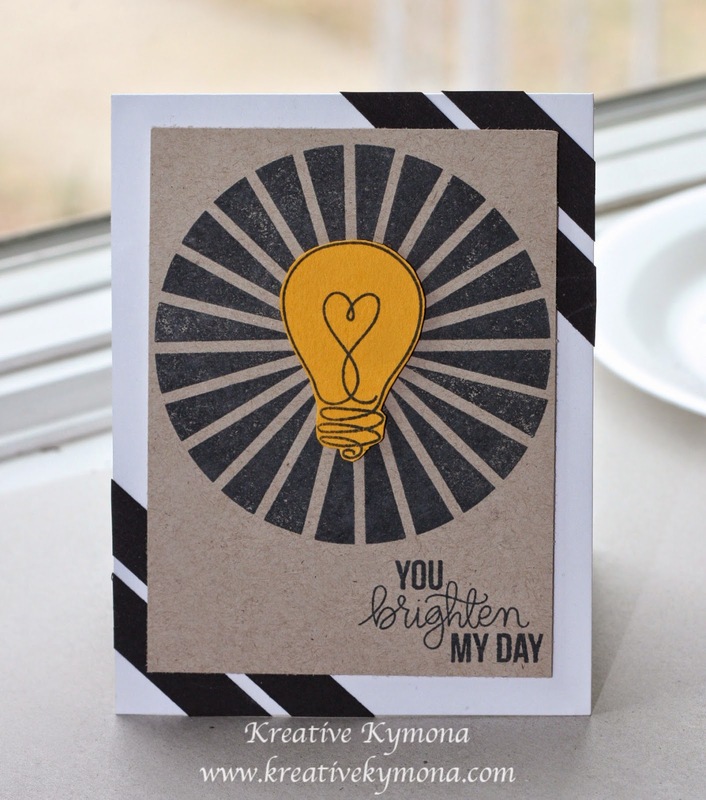 In September 2013, I made a big leap and created my blog, Kreative Kymona. Besides being a mom, I think that this has been one of my most rewarding accomplishments. Just being able to share with my world community makes life so rewarding! I was introduced to card making back in 2004. 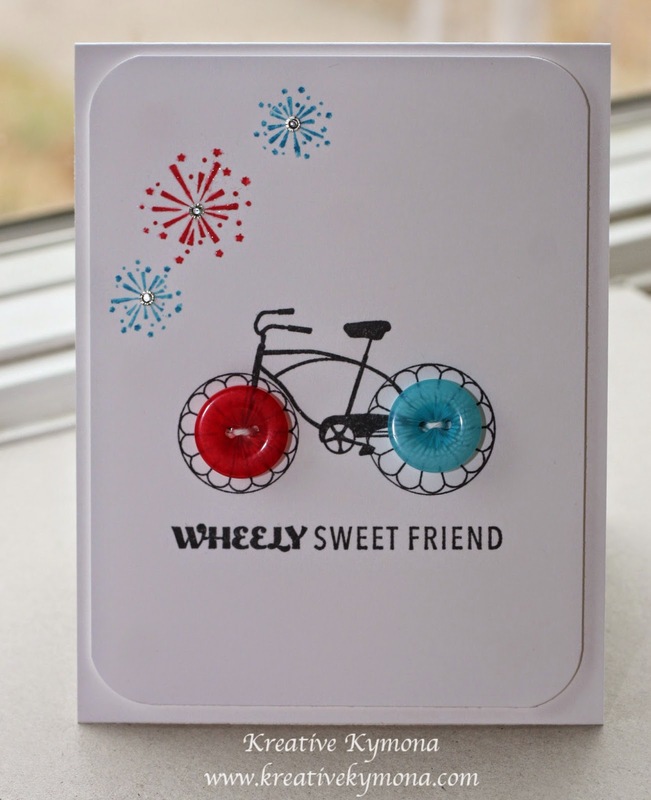 One of my coworkers saw something that I made for my son’s teacher and she showed me a Stampin’ Up! catalog. I was totally blown away by what I saw. She told me that her sister was a demonstrator and she did workshops. I couldn't attend any workshops because I lived 2 hours away from work. Shortly after that I changed jobs, and my new boss introduced me to her friend who held Stampin’ Up! workshops. I was hooked. Since then, its been all up hill for me in the crafting world and I love it! 3. From where do you draw your inspiration? How do you continue to be creative? I draw my inspiration from everywhere. I pay close attention to my surroundings. I look for colors, abstract items or anything that seems appealing. I also look at old magazines. Yes, I have magazines dating from the year 2000. Pinterest is another big hit for me! What were we doing before Pinterest??? I continue to be creative by taking classes. I love to learning so if there is a class out there, I’m taking it. I learn what’s new and trendy so that I can share what I learn with the world. My style, I would have to say that its clean and simple except when its not, LOL! I try my best not to over do it on my cards. I love all of my “crafting stuff”. 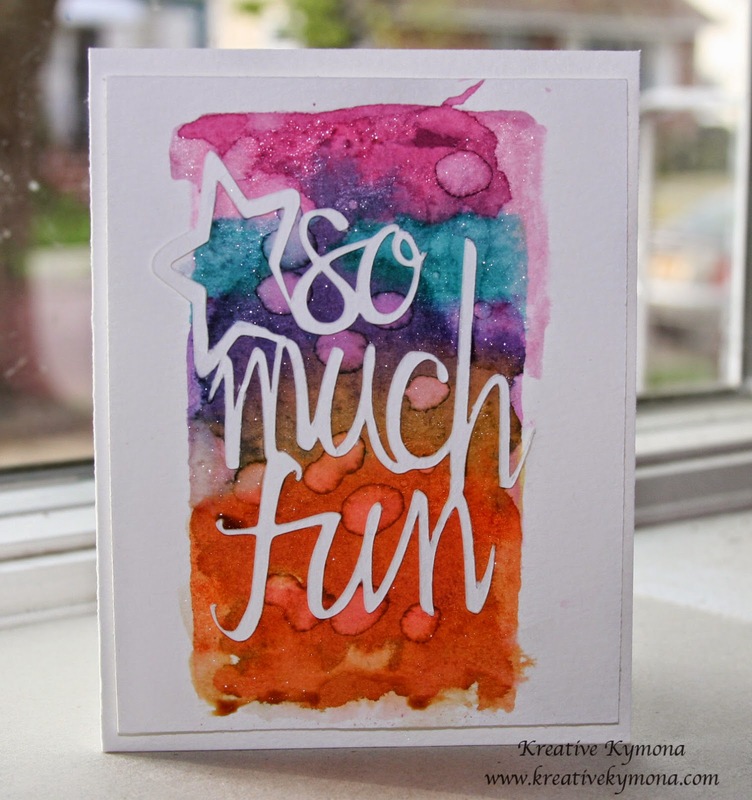 What I grab for the most in my craft corner are my Stampin’ Trimmer, Tombow Stamp Tape Runner, Neenah Solar White Cardstock, Koi Watercolors, my Big Shot, Distress Inks and the Blending Tool. My favorite technique is WATERCOLORING!! I absolutely love watercoloring. Its so much fun and carefree. I never worry about being perfect. Watercoloring allows me to be imperfect. My favorite medium to work with is my Koi Watercolors and Distress Inks. 7. What is the one crafty skill that you wish to excel in? I would love to excel in Copic coloring!! The pieces I see are totally amazing. I’ve taken all of the certification and workshops. I just need to practice some more. One of these days, I will master my Copic skills, LOL! Helping others!! Hands down, I love helping others with whatever I can help with. 9. What is/are your favorite thing/s to do other then crafting? Wow, my favorite things to do other then crafting. This list might be a long one but I’ll make it short. I love spending time with my children. They make me laugh and keep me on my toes. I love traveling. Seeing new places and getting away from home is such a great feeling. I love spending time with my brothers and sisters. Its 6 of us in total and all of us have different personalities that just fit together. We have a good time together. I love sitting out in the sun with a good book. Reading takes me to a new place and I love that. I can go on and on and on but these are on the top of my list. There are a couple of crafters that I’m drawn to. I will try and keep my list short….Laura Bassen of Doublestick Heaven: Laura is so funny. I love how she makes crafting look so easy. Her CAS style is very appealing to me. 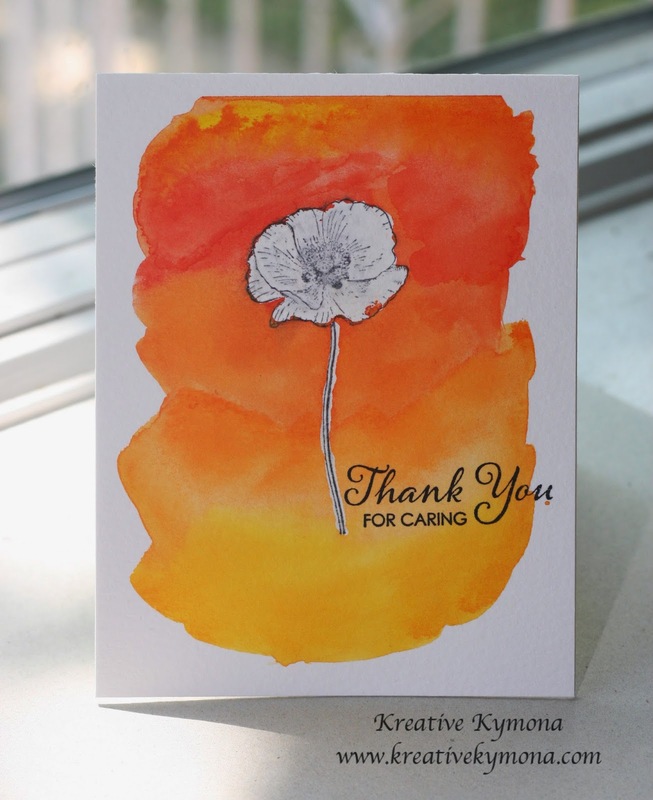 Kristina Werner of Kwernerdesign: Kristina to me is a master Copic colorer! Her coloring looks so effortless and the results are amazing. I will be as good as she is one day. 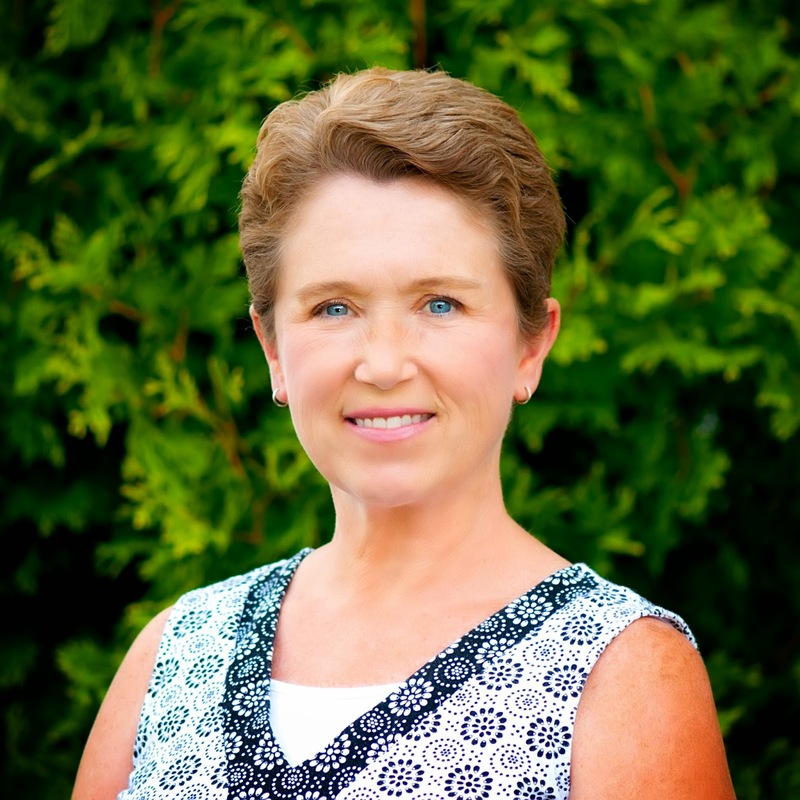 Debby Hughes of Lime Doodle Design: Debby inspires me to take better pictures. Her pictures are always picture perfect. I also love her placement of embellishments. They are always placed perfectly. Ardyth Percy-Robb of MASKerade: Ardyth has an awesome CAS style that you can’t help but fall in love with. She reminds me that less is definitely more! There are many more people who I love to watch but these are my top 4 that I’ve followed for years. This question is funny. My brothers and sisters would have a lot to say. They get on me about all of the things I want to be. If I wasn’t a crafter I would be a carpenter or an ice sculptor. Don’t laugh, but its true. How many women carpenter or ice sculptors do you know. Not many, so I wanted to be a part of that elite group! LOL! 12. What will be your one suggestion to all the new crafters out there? For new crafters, I would say take as many classes as possible. They would learn so much to get them started and finding their own niche. Also reach out to crafters that you like and admire. My doors are always open!! 1. Tell us a little bit about yourself and your blog. I am based in Muscat, Oman. 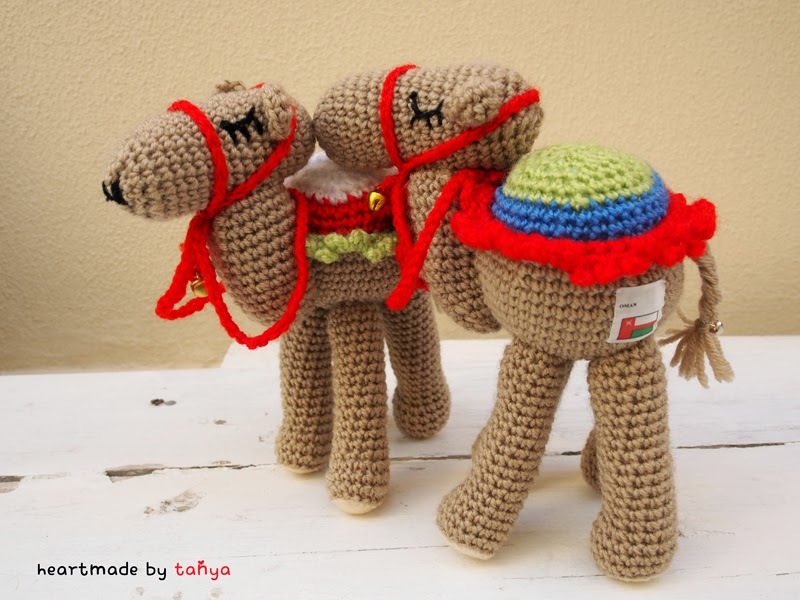 I’m the admin of ‘Crafty in Oman’ Facebook group and the start of me being involved with crafters, organizing craft fairs and workshops. Our group is growing rapidly with more than 2,000 members. It’s amazing to see how people are interested in crafting. 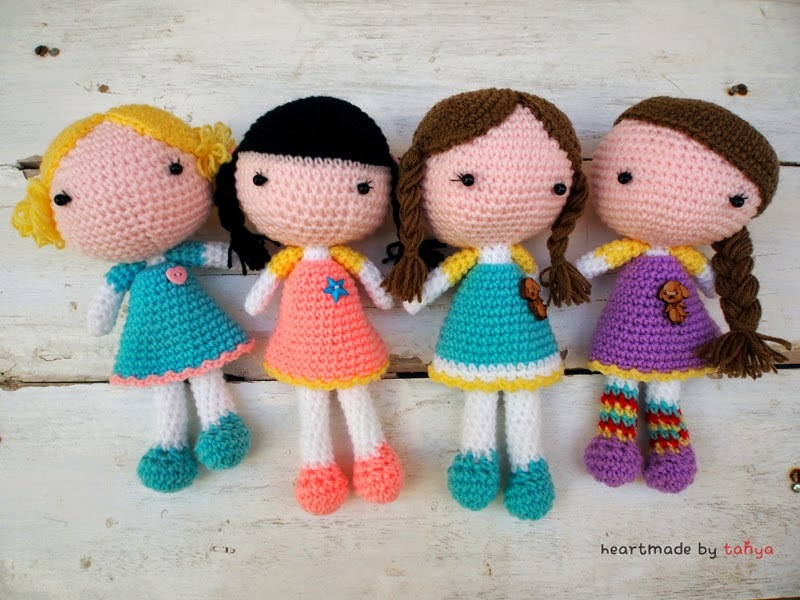 I also conduct a crochet and knitting workshop twice a week at my home. People used to think that crochet and knitting is the ancient art. Little that they know it made a come back. My class is always full with a three months waiting list! 2. How and why did you start crafting? Graphic design is my profession. I love to be creative and think of something new and unique. After i've become a mummy, I decided to quit my full time job. Crafting is a good way to channel my creativity and gives me an instant gratification. I was self-taught along with learning from my mother who is a knitting goddess. 3. How often do you craft? How would you describe your style? Everyday! Most are at night when kids are in bed. My style is modern and sweet. I love playing with colour, shape and texture. 4. What are your can’t-live-without craft-room essentials? My TV! I feel relaxed at the end of the day crafting and watching my favorite show. 5. Where do you get inspiration? How do you stay creative? I have so many inspirations until my head can’t stop thinking. Most comes from things around me like flower, tree, animal, weather, people, culture, etc. List goes on. I feel that I can depict anything and make it my own. 6. What is your favorite medium to work with? 7. What’s the one craft skill you would love to master? I love when people appreciate my work and effort. That it’s not just merchandise but my heart and soul is inside. 10. What is your favorite thing to do (other than crafting of course)? I love playing piano and teaching violin to my five years old son. I feel like our soul just connects. 11. What do you do to keep yourself, your space and your time organized? Nobody knows that I’m a super mum. I wear red underwear outside my pants from time to time. 12. Are there any crafters/artists/designers that you particularly look up to? Martha Stewart. I love her simplicity and colour scheme. I like how things change according to season. I was born into a military family, so as a child I had the opportunity to travel and live in many different places. I fell in love with Roman ruins, museums, parks, and the cultures of various peoples. I think that's where I derive my eclectic tastes! For years I worked as a Surgical Technologist/Anesthesia Technician, but felt like something was missing. At age 35, I went back to college and earned a degree in history, with a certificate in Museum Studies. I was fortunate enough to land a job as office manager and Assistant Archivist at our local history museum. Don't laugh, but much of my time at work was spent handling old photographs, letters, journals, and other two-dimensional objects! Loved it! My husband and I live in Southeastern Wisconsin overlooking the western banks of Lake Michigan. 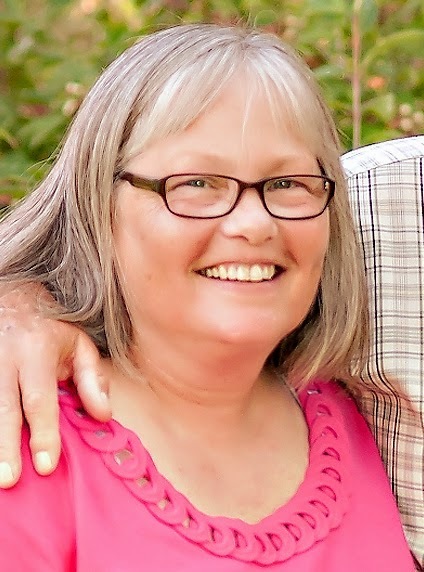 Between us, DH and I have eight grown children and 20 grandchildren. It's lovely chaos when most of them are able to come home! My blog is named Happy Dance, because in spite of the troubles in my life and in the world, I choose happiness. On Happy Dance, I share bits and pieces of my life and family, as well as the cards and the occasional crafts I make. Pretty much a tomboy growing up, about the only crafts I actually enjoyed were those done in Sunday School or Vacation Bible School, lol! Once I was working and married I had little time for my own extra-curricular activities other than photographing the children! By the time the youngest was in high school, I found I had a bit of extra time on my hands. I started making 4"x 6" photo albums for family and friends decorated with whatever I could put my hands on. One of my girlfriends asked me if I had ever been to the scrapbook store in town. That was all it took. I started out nearly 20 years ago scrapbooking. 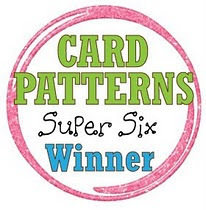 A friend peaked my interest in card making through Stampin' Up, but still, I was more a scrapbooker. Then...about 5 years ago, DH spent over $20 on Valentines for SOME of the grandchildren!! I couldn't believe how expensive those Valentines were, said "no more! ", and those were the last cards we've ever bought! What started out as something to do for economies sake, has turned into a rather pleasant addiction! 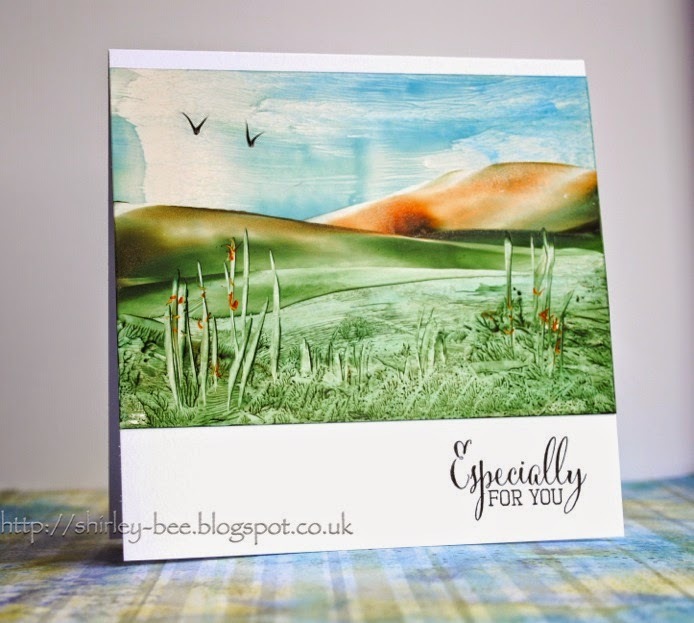 Madly in love with card making! I do my best to craft every day. It's not always possible, what with church commitments, appointments, and running errands, but where ever I am, I'm constantly on the lookout for inspiration. My style is more to the Clean and Simple, Clean and Graphic, or Clean and Layered end of the spectrum. I love the look of Shabby Chic, but my attempts have been less than stellar with that, lol! 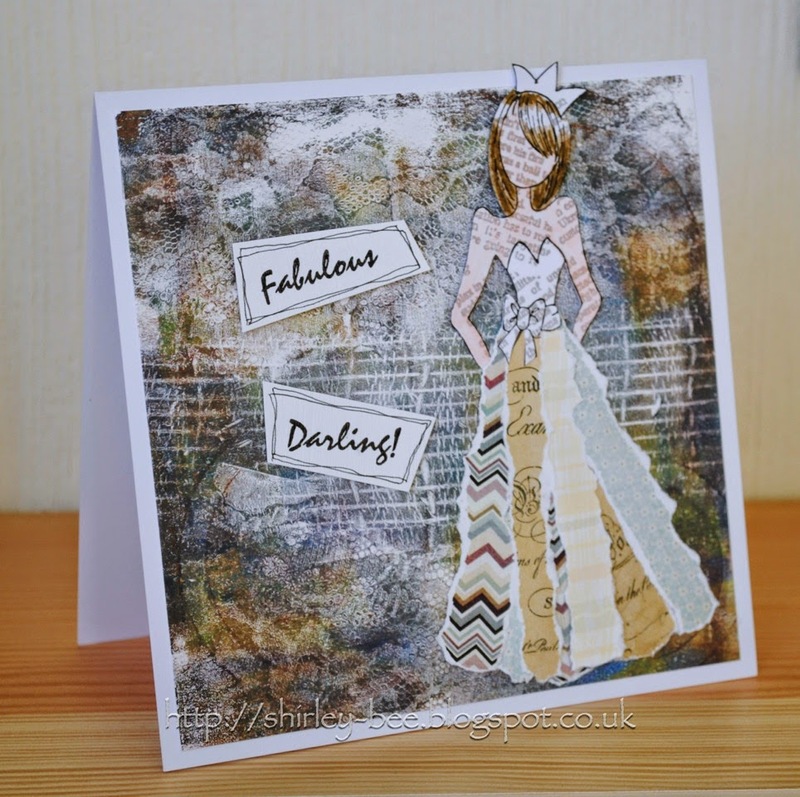 I've found that, at least for me, cards are quite personal, so my style will vary. Most often, I gear my creations to their recipient. I couldn't live without my paper trimmer. My attempts to cut a straight line are laughable! I'm still searching for the perfect trimmer, but in the meantime, my big Fiskars does nicely. 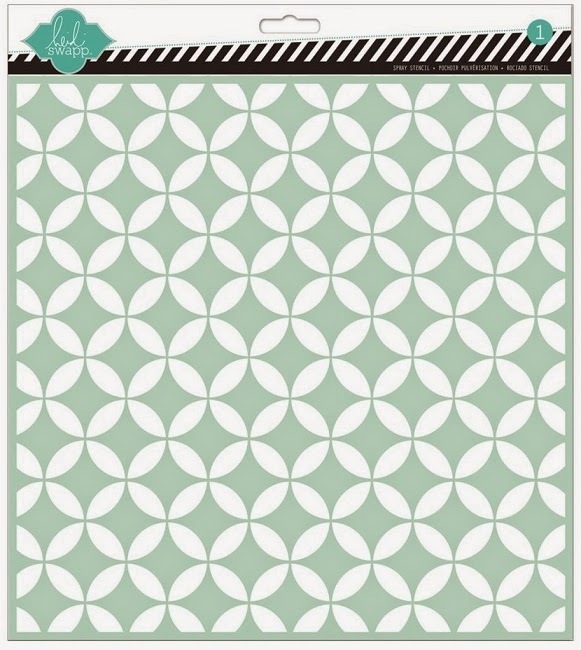 It goes without saying that card stock, designer papers, tape runners, and inks and stamps are the core of my crafting. I'm inspired by pretty much everything around me. From images I've seen on TV, to nature, to other crafter's works and challenges, I find inspiration everywhere. Thank heavens for Smart phones. If I find an advertisement in a doctor's waiting room magazine, I can snap a photo and work with it when I get home! I think we all have times when our "Mojo" takes a little holiday; I'm no exception to that! However, popping out of my craft room to take a walk, clean a room, or seeing what's on Pinterest usually helps. I guess I like the basics best: paper, ink, and stamps. 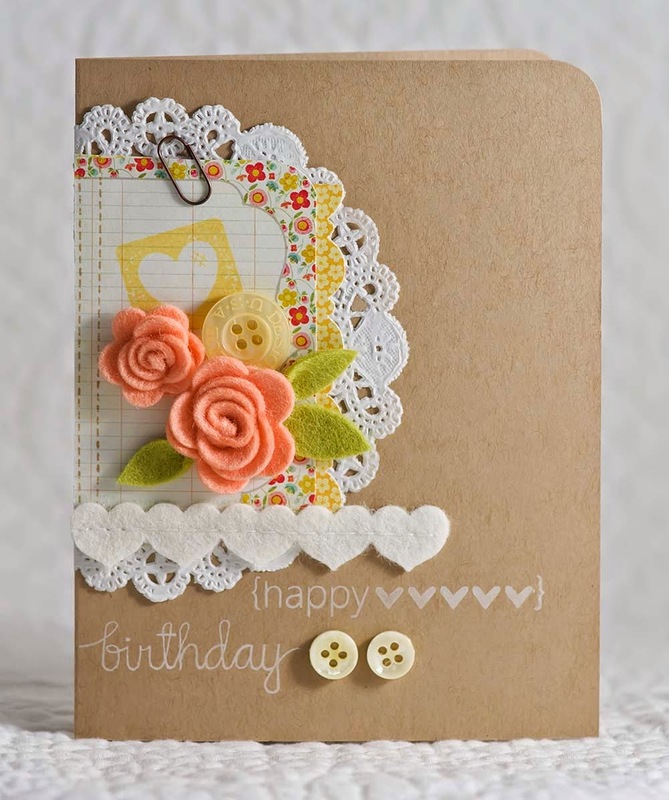 Since cards are my favorite craft, those three things would be at the top of my list. I'd follow that list with sequins, Wink of Stella, glitter, and markers. This one's a tough question for me. While I'd love to be able to improve my skills at water coloring, I can craft well enough without doing so. What I'd really and truly love to master would be freehand drawing and lettering. I can draw a wicked stick person, but beyond that, I'm pretty horrible! And while my penmanship is fine, I'd love to be able to write my own sentiments more neatly and more uniformly. 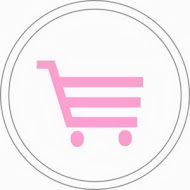 My biggest guilty pleasure is shopping for more craft supplies! 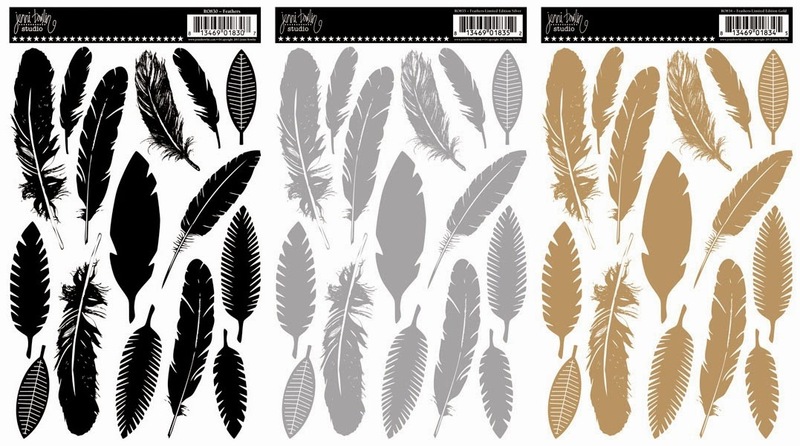 I have a room full, but there's always a new stamp company or paper line coming out. Waaaay too often, new goodies move right to the top of my "must have" list! I'm sure I'm not alone here, lol! What makes me smile? Oh now that's an easy one!! My grandchildren! They are the joys of my life -- all 20 of them. Other than crafting, I like spending time with my family. There's something special about playing dolls with my little granddaughters, cooking for and having holiday dinners with family, talking to my sisters, laughing with my dad, or just having quiet time with my DH. I've been blessed with a very large and wonderful family! I'm up early in the morning. After perusing the newspaper, I generally check my blog, then do a workout. DH is still asleep, so that's when I usually get my ideas going. I have a whole room (I'm so blessed, I know!) to craft in, so almost always, things are organized and in their places. If I've left a mess on my desk, I'll pick up and set to work. I try to schedule errands, appointments, and commitments toward the afternoon so my mornings are free to create. Being retired, I have all day every day to do whatever I want/need to do. This might sound a bit crazy, but working within a limited 'sterile field' in an operating room has helped my organizational skills immensely. It was important to keep things in their place there, and that has carried over into the rest of my life. There are so many crafters I admire. It's a long list....Geri from Manitoba Stamper, Ardyth from Maskerade, Anita from My Papercraft World, Hannelie fromDesert Diva, Darnell from DJKardKreations, Lynn from The Mango Boys and Me, Donna from Three Umbrellas, Deepti from Dee's Art Utopia, Keren fromKerenbaker's Blog, Tracey from In My Creative Opinion, Marybeth from Marybeth's Time for Paper, Kim from Cupcakes, Cards, and Kim, Carol from Just Me C, Leigh from To The Full...well you get the idea....There is a vast world of amazing crafters out there. I couldn't begin to finish my list. What I've found since I've started blogging, is that this community is one of the nicest, most inspirational places in all of the world. 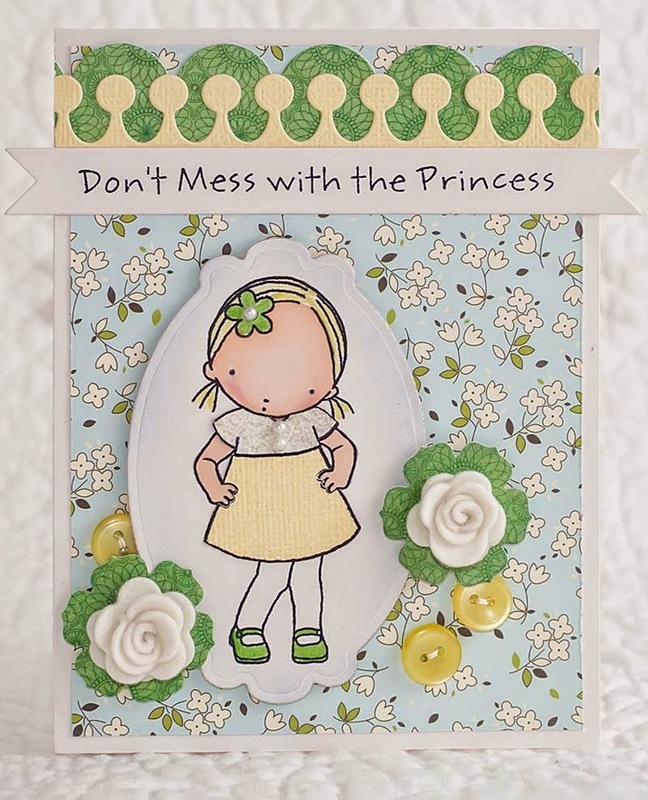 To see more of those crafters whom I admire, check out the right hand sidebar on my blog. For that matter, check out the sidebars of all the crafters you know; there's a whole lot of talent and friendship out there! 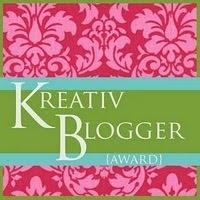 Hi there crafty people; today I wish to introduce you to Kreative Keerti. She is a multi-talented artist who can paint, make jewelry, scrapbook and do amazing work with clay. Keerti Joshi-Pendharkar is from Thane in India and has been living in Dubai for the past three years. 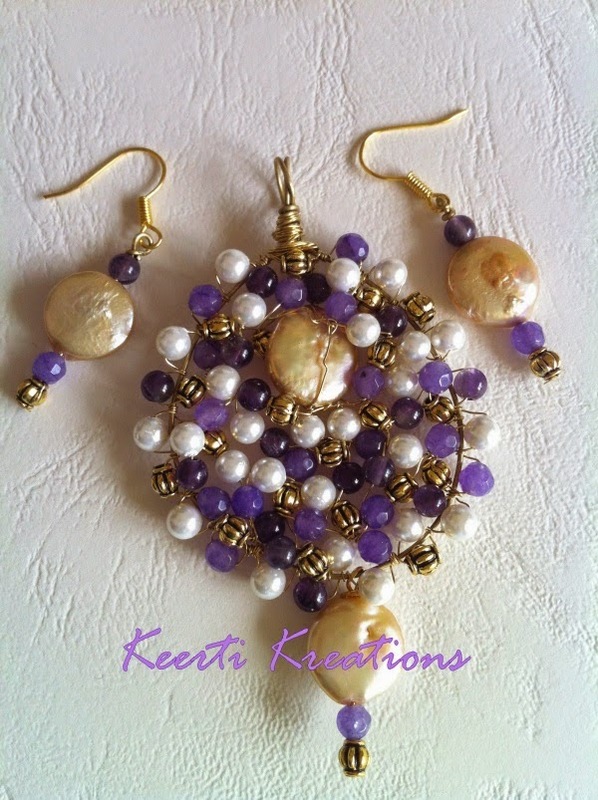 Please visit her Facebook Page .......... Keerti Kreations. Dont forget to become a fan by liking her page. I would rather describe myself as the person who discovers art in mundane stuff around me. More akin to a stone carver... just chisel out the superfluous to unravel the art within! 2. What is your favourite type of creativity? My favourite Kreativity is when I give up, burn myself out, hit the bed.... And then inspiration creeps in suddenly. I get up, sometimes in the middle of the night , sometimes in the wee hours of morning... And then I just do it! It can be a piece of jewelry, paper crafting .. Anything ! 3. When and where do you typically sit down and create? Now here comes the interesting part. Anywhere... seriously. In the kitchen, or the drawing room, or wherever. There is no "typical" here. Being a homemaker and the mother of an energetic 6-year old, I cannot "sit" down to it! 4. Who and what inspires you? Again... just about anything inspires me! And I don't claim to be an "artist" (refer point 1). A cup and saucer beckons me... the pair whispers that the cup has potential to be a well and the saucer claims that it can be the shrubbed base.. all I do is listen! 5. What are your favourite tools to create with? My favourite tools are my hands... with them I can get the unraveling done, because they connect to my brain... translating thought to action! 6. Do you teach and share your talent? I haven't taken a formal effort to conduct "classes". Because I don't believe art and Kreativity can be taught formally. My style is to be... just be. People around me know what I stand for and reach out. I just act as a facilitator... helping unravel!! 7. What is your opinion on the artistic / creative community in Dubai? I'm surrounded by many talented ladies. Each one has their own unique styles. Feels lucky to be amongst them. 8. How do you plan to grow and expand your creativity? Kreativity for me expands with exposure to different experiences. I meet a lot of people, I see different places, I watch different tv programs, I play with my kiddo... all of these and more bring a breath of fresh air to my Kreativity! 9. Have you ever sold your works of art? 10. Where to from here? Tell us about your future plans. From here to a micro universe where I don't have to bother about cooking and cleaning! A world full of stuff ready to be unravelled... and maybe workshops to catalyse Kreativity for those who need! 1. Tell us a little about yourself and your blog. I live and grew up in northern Ohio. My husband and I were high school sweethearts. We're blessed with one amazing son, a beautiful daughter-in-law and a ridiculously adorable mini schnauzer named ~ Max. I'm a former floral designer/instructor and am now happily a stay at home wife. 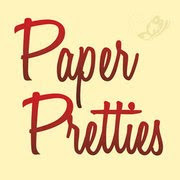 My Paper Tales began in April of 2011 after discovering blogs on stamp company websites. 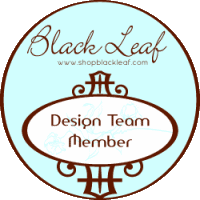 I currently design for three stamp companies, embellishment store and a color challenge blog.Thank you for having me here today Deepti, I'm truly grateful and honored! 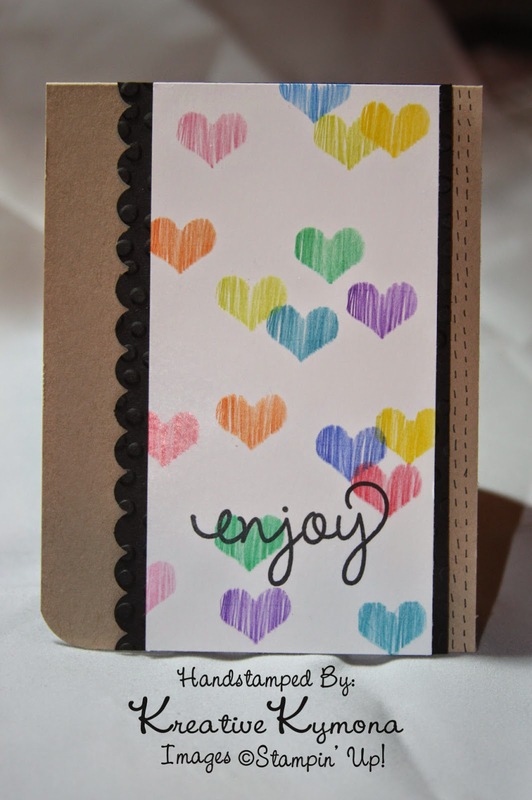 I adored coloring and pretty paper as a little girl, must be why I enjoy card making so much! I bought my first rubber stamp (a teddy bear) because I thought it was cute. But I had no idea what to do with it. I tried acrylic paint, what a mess! Then I took a class in 2001 and have been stamping ever since. I turn to Pinterest and of course fellow bloggers. I can also get an idea from nature or a piece of fabric. I am usually not a trendy person, but it does spark my creativity to stroll through Hobby Lobby, Michaels or Archivers (miss them!) 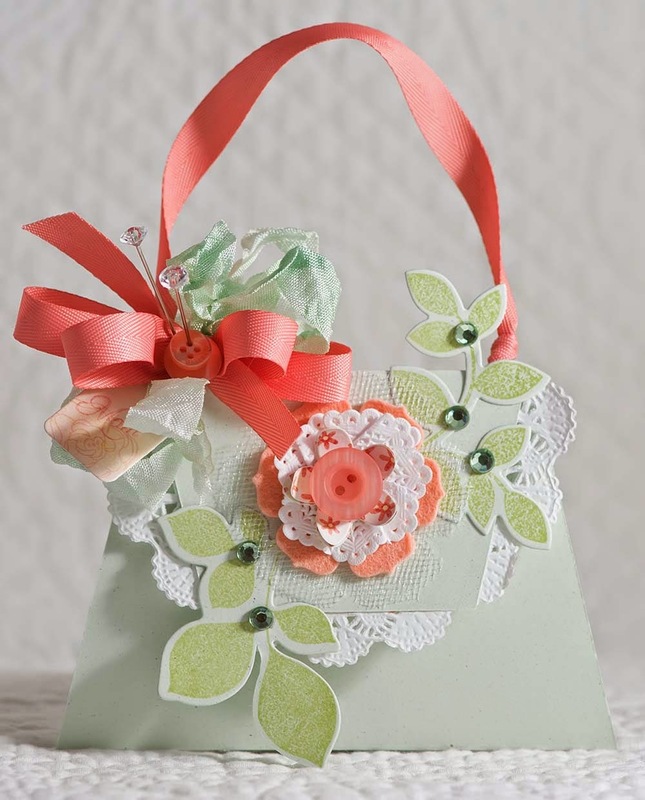 to see what's new in the paper crafting world. I don't really know that I have a specific style, I'm told I do! I suppose I liken my style to floral design. 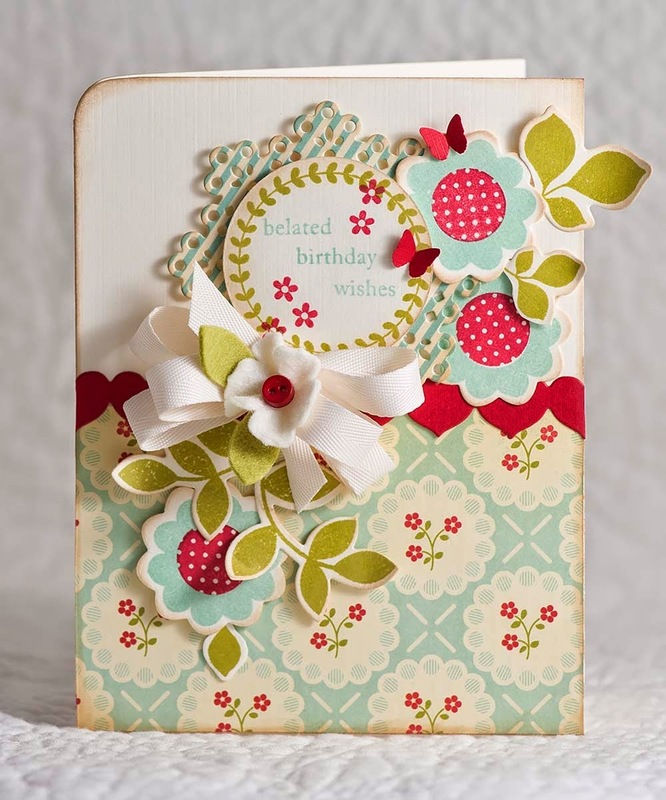 I enjoy creating a clean and simple card (bud vase) to a card with clusters of prettiness (a tussle mussie) easily. It depends on my mood. I don't like overly fussy, but I do like little clusters of what nots on my cards. I've often been told my style is unique. I recently got an ATG gun and love it, it's funny since I typically like small tools! I also use a lot of foam tape, must have a ruler on hand and don't think I could live without my dies. 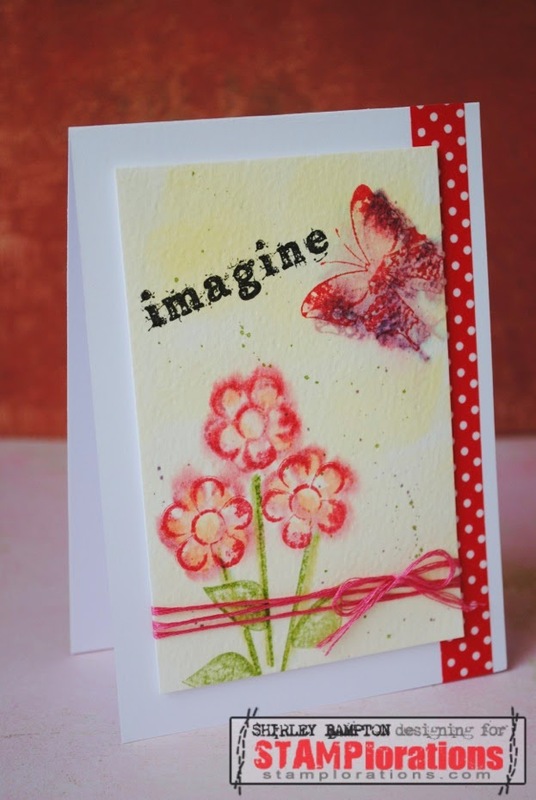 I've become a big fan of generation stamping, love the look. I'm addicted to 6x6 paper pads and prefer dye inks. My family, my son's laughter, my silly little pup. I'm truly blessed. 9. What is/are your favorite thing/s to do other than crafting? Long walks with my little Max and photography adventures with my husband. That's his hobby. We spend many weekends at the parks near us or often take vacations based on the surroundings. Lighthouse trips are a favorite of mine and Max is a great traveler! My husband bought me a new sewing machine for Christmas and I would like to get back into quilting. Hmmm...I'm a fan of several bloggers. 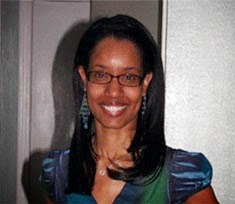 But I have always admired Melissa Phillips. Her work inspired me to start my blog. She is a gentle spirit and creates the prettiest little flowers from felt! I am also a huge fan of Arielle Gordon. 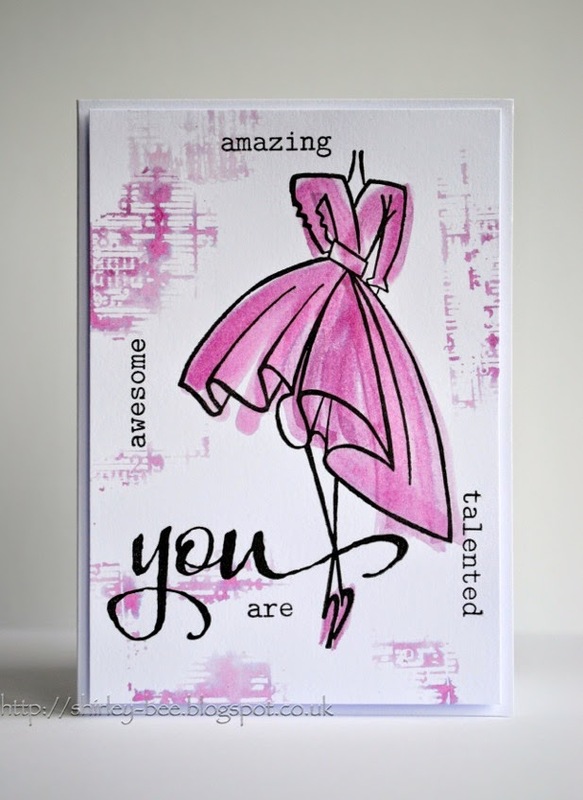 She's the queen of cute cards and works wonders with a mix of colors! I would probably go back to floral design. It's still working with color and being creative! Be yourself and design that way. I tried to "fit in" to challenges when I started. I look back at those cards and don't know what I was thinking! Now I do what makes me happy and I try stay true to myself. God made each of us different and it's okay to be that way.